Editor’s Note: The term “Indian” as used in this piece is a legal term of art. It is used extensively in the briefs and decisions in this case, and that is why it is being used herein. Its use is intended to streamline research in this important area of law, as that is the term used in this area of law. We mean no disrespect to the dignity and traditions of this continent’s First Nations and apologize if its use is upsetting. The Court applies a three-step test described in Solem v. Bartlett to determine whether Congress intended to terminate or diminish the size of a reservation by opening its boundaries to non-Indian settlement. First, courts must examine the statute’s text, particularly “[e]xplicit reference to cessation or other language evidencing the present and total surrender of all tribal interests.” Explicit language that commits Congress to compensate the tribe evidences Congress’s clear intent to diminish a reservation. Second, courts must consider the “events surrounding the passage” of the statute, including contemporary historical evidence through legislative history or the manner in which the transaction was negotiated. Lastly, courts should consider “events that occurred after the passage” of the statute, including who moved onto the unallotted lands and how Congress and the Bureau of Indian Affairs treated these lands. In Carpenter v. Murphy, Patrick Murphy, a member of the Muscogee (Creek) Tribe, appealed a state first-degree murder conviction and capital punishment sentence, arguing that the state of Oklahoma did not have jurisdiction over his case, because the crime occurred in Indian country, under federal jurisdiction per the Major Crimes Act. In an appeal, the Tenth Circuit reversed the lower court’s decision, applying the Supreme Court’s three-part test in Solem v. Bartlett, to conclude that the stretch of highway where Murphy killed another member of the Creek tribe was in fact Indian country, and not subject to the state of Oklahoma’s jurisdiction. Under the first prong of Solem, the Tenth Circuit found no explicit intent to diminish the reservations boundaries in the eight statutes that the State argued collectively established Congress’ intent. Analyzing legislative history under Solem’s second prong, the Tenth Circuit concluded that Congress’s intent to establish a new government in Indian territory and “shift land ownership from communal holdings to individual allotments” did not show that Congress reduced or erased the Creek’s boundaries. Moreover, under prong three, which carries the least weight of the three prongs, the Court concluded that given the conflicting evidence of how the federal executive and legislative branches, state of Oklahoma, and the tribes treated the land, the court must interpret the evidence in favor of Congress’ intent not to disestablish the reservation. On the individual case level, the Supreme Court’s decision could determine whether Murphy’s capital punishment sentence will stand. Should the Supreme Court uphold the Tenth Circuit’s decision, that the crime occurred in Indian country under federal jurisdiction, the federal government will defer to the tribe on whether or not to impose the death sentence. Currently, the Creek have not elected to apply the death penalty, so Murphy would likely receive a life sentence. 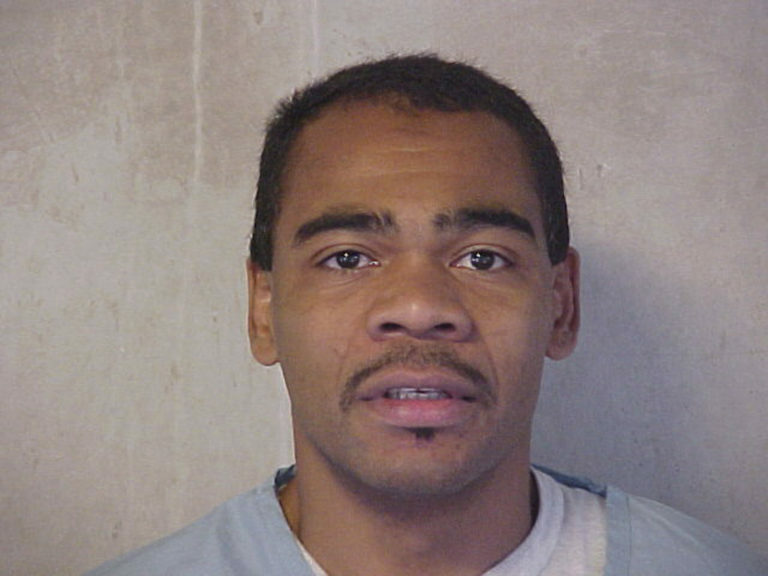 Should the Court reverse the Tenth Circuit’s decision, Murphy will be subject to the state of Oklahoma’s decision, and his capital punishment sentence will stand. Carpenter v. Murphy also has much broader implications that may reorganize the entire state of Oklahoma. The National Congress of American Indians (NCAI) states that a Supreme Court decision to uphold the Tenth Circuit’s decision would “significantly increase” the Creek’s jurisdiction, to include over 750,000 additional people, including Tulsa, the second largest city in Oklahoma. Because of the history of the federal government’s relationship with the Five Tribes, the decision would likely extend to the Cherokee, Seminole, Chickasaw, and Choctaw Tribes, whose lands are also considered Indian country. Should this decision apply to other Oklahoma tribes, 43% of the state of Oklahoma and over 1.8 million peopled would pass under tribal jurisdiction. While non-Indians living in this area would not be subject to tribes’ criminal jurisdiction, the state of Oklahoma would be precluded from collecting taxes on 43% of the land within its borders, which includes the states’ most populous area. The Supreme Court’s decision could severely alter the abilities of the Oklahoma tribes to prosecute crimes within their own territories. An affirmation would affirm tribal sovereignty, while a decision reversing the Tenth Circuit’s holding would be a huge step in the opposite direction. Given the Supreme Court Justices’ history of unfamiliarity with Indian law, the case could go either way. Neil Gorsuch, the only Supreme Court justice with extensive experience in Indian law, will not partake in the Court’s review of this decision, because of his earlier participation in an en banc rehearing of the case in the Tenth Circuit. Major Crimes Act, Act of Mar. 3, 1985, ch. 341, § 9 23 Stat. 362, 385. The Major Crimes Act only applied to crimes committed on “reservations” until 1948, when Congress amended the Major Crimes Act to apply to any crime committed in “Indian country,” defined as (a) all the land within a reservation, (b) all “dependent Indian communities” and (c) all Indian allotments to which the rights have not been extinguished. See Act of July 25, 1948, ch. 645, 62 Stat. 683, 757. Yankton Sioux Tribe, 522 U.S. 329, 343 (1998). Solem v. Bartlett, 465 U.S. 463, 470 (1984). Yankton Sioux Tribe, 522 U.S. at 343 (quoting United States v. Dion, 476 U.S. 734, 738-739 (1986)). See generally, Solem, 465 U.S. at 470. Murphy v. Simons, 497 F. Supp. 2d 1257 (E.D. Okla. 2007). Murphy v. Royal, 866 F.3d 1164, 1233 (10th Cir. 2017). See Cohen’s Handbook on Federal Indian Law §9.02(3)(a) for a discussion on tribes’ treatment of the death penalty. Petition for Writ of Certiorari at 17, Royal v. Murphy, 875 F.3d 869 (10th Cir. 2017) (no. 17-1107). Nebraska v. Parker 577 U.S. 1072, 1082 (2016). Next Treason: What Is It?